Light plays an important role in the interior, because it is to emphasize beauty and hide the disadvantages of space. 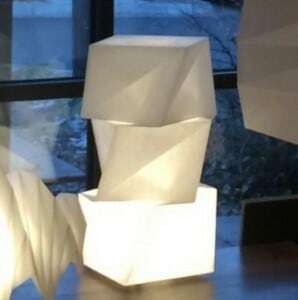 Standard and conservative forms of lamps are gradually losing their position. 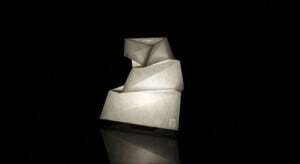 Progress in lighting design is not in place, and new generation lighting offers many possibilities. 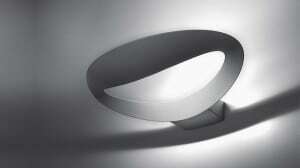 For Artemide, light is art. The factory was founded in 1959 by Ernesto Gismondiego and Sergio Mazza , and currently occupies a leading position in Europe. For 50 years, he has been successfully producing lamps for household, decorative, technical, architectural and artistic lighting, following the latest trends in the world of lighting technology. 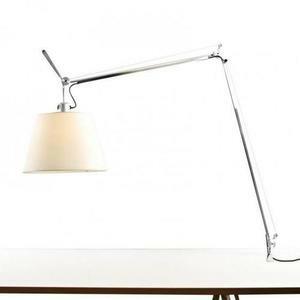 Hotels, boutiques and restaurants around the world choose Artemide lamps to emphasize their status due to the high, quality and durable style of the products. 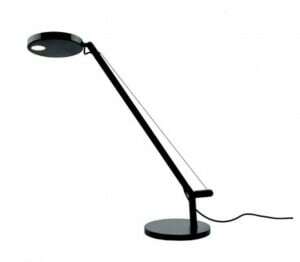 Unusual design, innovations aimed at convenience and comfort allowed Artemide lamps to become equally popular in private interiors and offices. 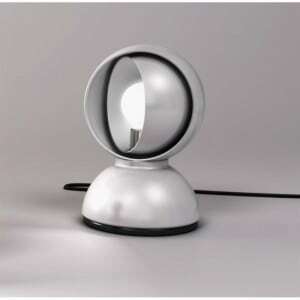 Lamps of this brand are works of modern art created by world-renowned designers. All products are created taking into account the influence of light on the human eye. In the end, lighting has a huge impact on the perception of the room and the objects in it. Thanks to it, you can create an atmosphere of any nature. Different shades of color and directions of the beam of light create wonders with space. Economical energy consumption with high light efficiency. 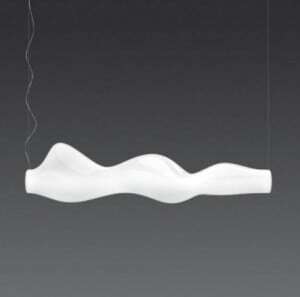 Some Artemide wall lights have unique arches and magical shapes. Very practical materials are used for production. Such wall lighting stands out on the wall as a kind of art object. Sconces emphasize the texture of decoration, and make the room perceived in a new and unique way. 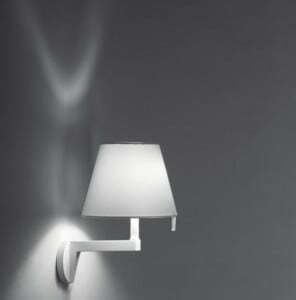 The Artemide wall lamp collection is a functional light in a modern style. 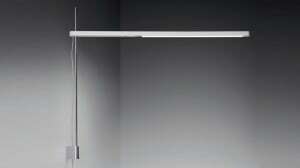 Lighting designed for example by Gardere Adrien is distinguished by the use of a zinc alloy in the frame of products. The aluminum rod supports a satin fabric cover with a special finish and the adjustable mechanism allows the lens to rotate 180 degrees. Room lighting using Artemide sconces will be suitable in every apartment, regardless of their design, the soft light of the wall lamps is directed upward, at the same time scattering around the sides and creating unusual lighting. Table lamps are excellent assistants when working with documents on your desk. 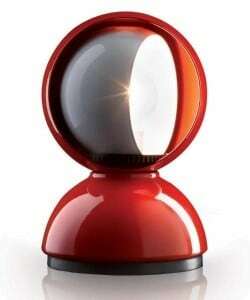 The famous series of table lamps Artemide won many international exhibitions despite the discreet appearance. The design of the models allows you to change the direction of the luminous flux in the horizontal and vertical plane, modifications are also available with the table base for convenient placement, the brightness can be adjusted by means of a dimmer. The collection of luminaires is colorful and light, combined with non-standard designs that can illuminate the most secluded corners of the house. The adjustable base makes the lamps comfortable and the colored coating on the metal is extraordinary and bright. Glowing balls form spectacular design groups. They look fantastic and bright, they are very bold and fresh, but soft at the same time. In modern interiors such smooth forms will fit perfectly. Artemide chandeliers are an amazing number of innovative ideas. Their forms are far from standards, which makes them unique. 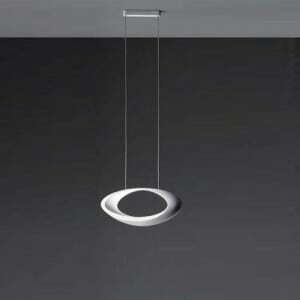 British artist Ross Lovegrove designed a hanging ceiling lamp, a cosmic design and a thick surface. The diffuser material is thermoplastic, aluminum and chrome surface finish to decorate with multi-colored LEDs is an excellent choice. 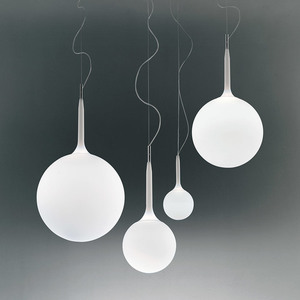 In contrast, the futuristic design of a hanging lamp by the same author looks like large mercury drops hanging on thin suspensions attached to an aluminum shield. The glossy surface improves the glow. The cosmic design is a hallmark of the floor lamp, it is intricate and elegant, light and translucent. The collection of lamps combines two trends: floristic and cosmic made of practical materials. Looking for a light that has a positive effect on the mood, the Artemide floor lamp meets the expectations: relaxation, balance, and fun. By changing the color and intensity, you can create for yourself the most comfortable environment that will positively affect the emotional state of the user.